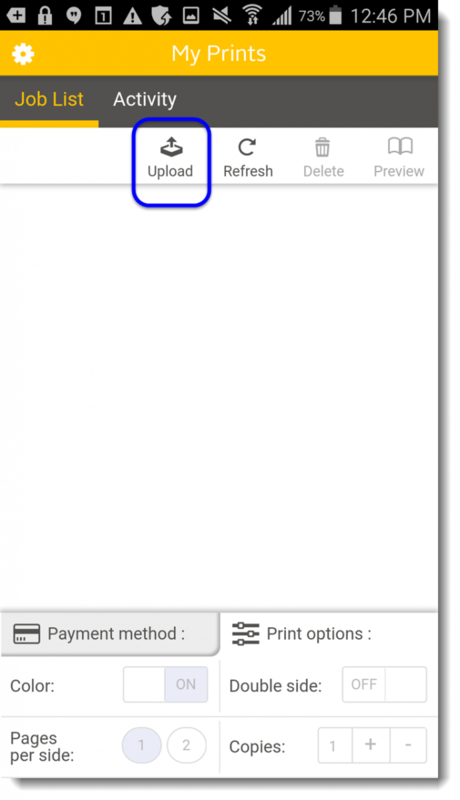 After you have logged in choose Upload to select a file from your phone. 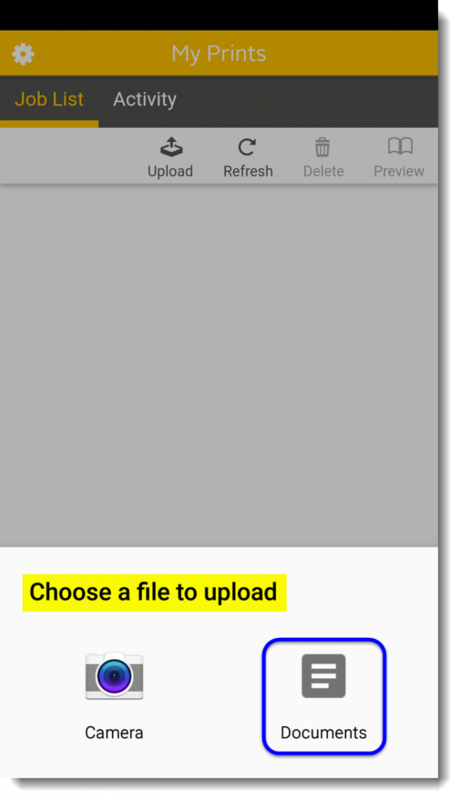 After you hit Upload you will be able to select a document or image from your phone, it will then show you up in your job list on the app. That file is now ready to be released from our Print Center at the Hicksville Public Library at your convenience (it will be stored for the day and be purged if not released that dayOpen the Google Play Store. 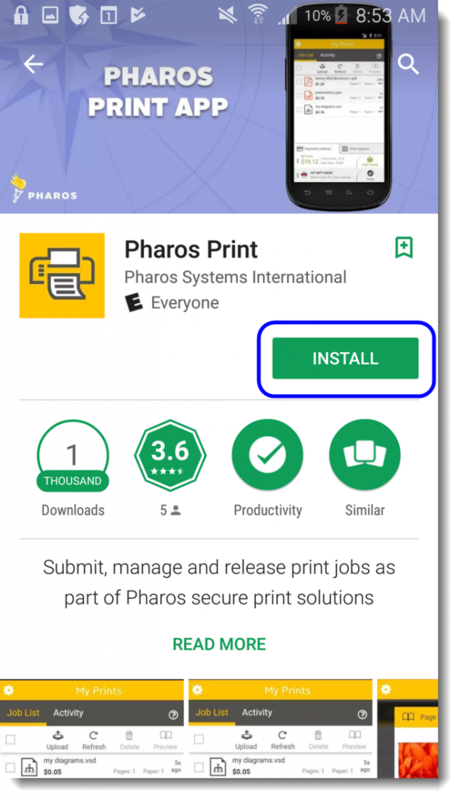 From Google Play, enter “pharos print”. 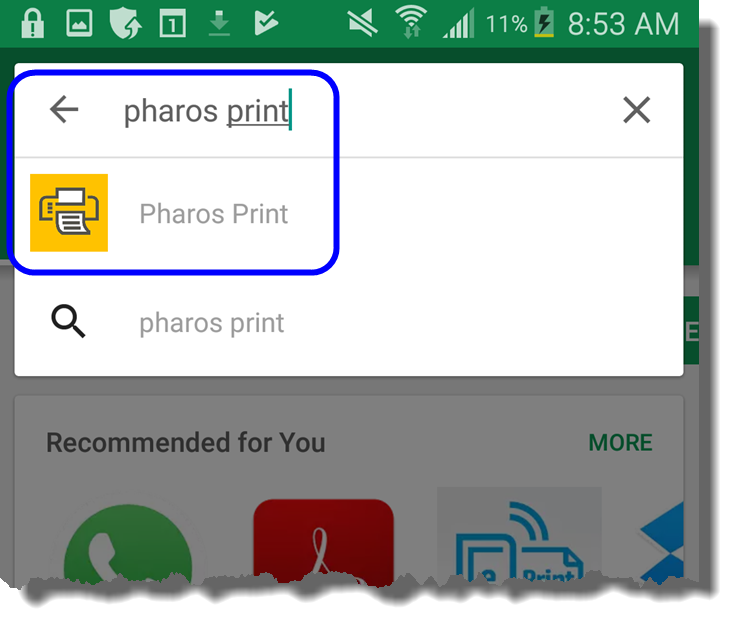 Tap on the “Pharos Print” icon. 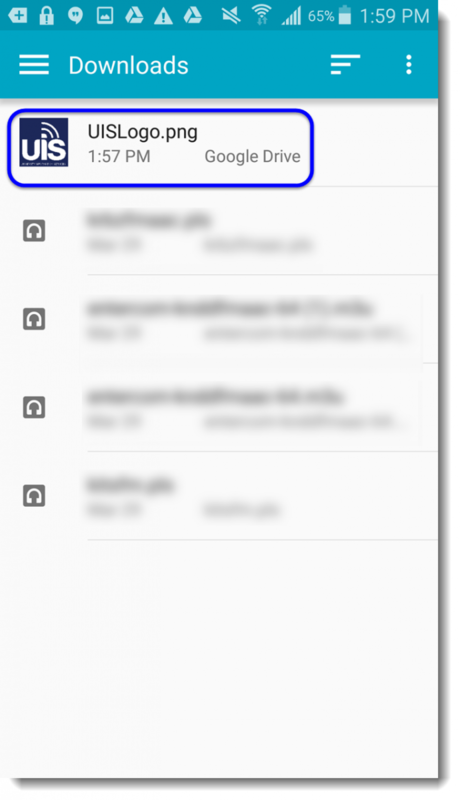 On the next screen when the app opens, you will be asked to type the Server and port addresses. Type print.hicksvillelibrary.org for the server address, and 443 for the port, tap connect. 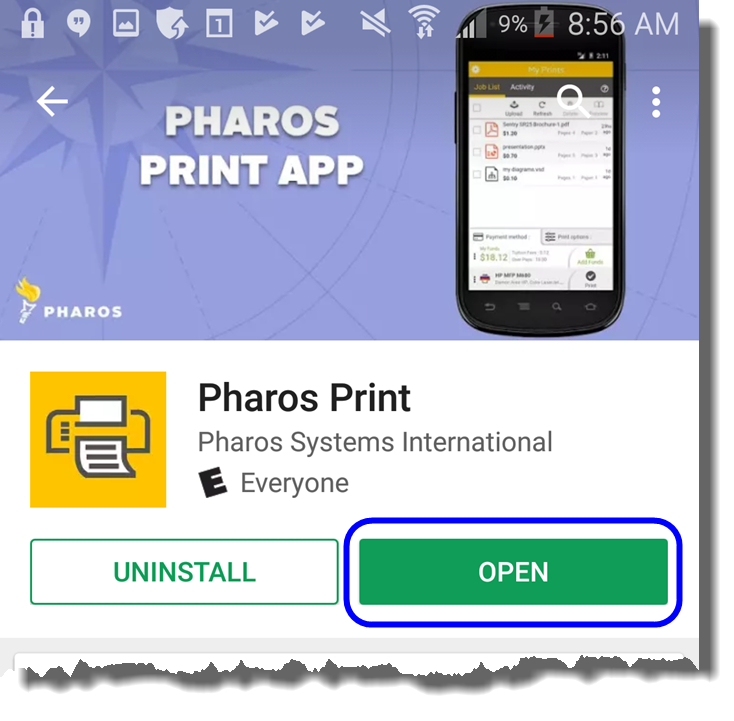 The Pharos Print app home screen should now be displayed. 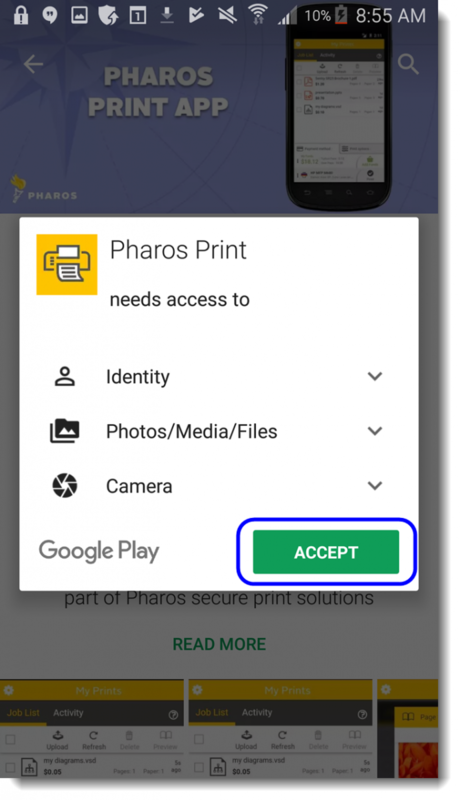 You will now be able to print a document on your Android device using the Pharos Print App. 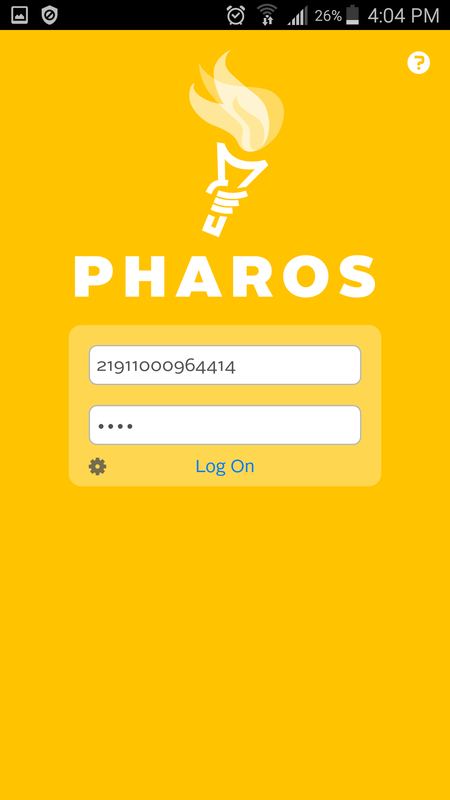 From the Pharos Print App, tap Upload. 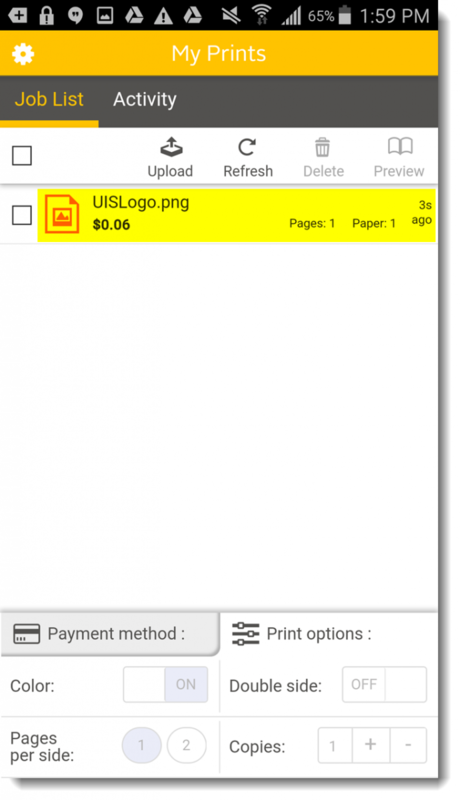 On the next screen find and tap the document to be printed.